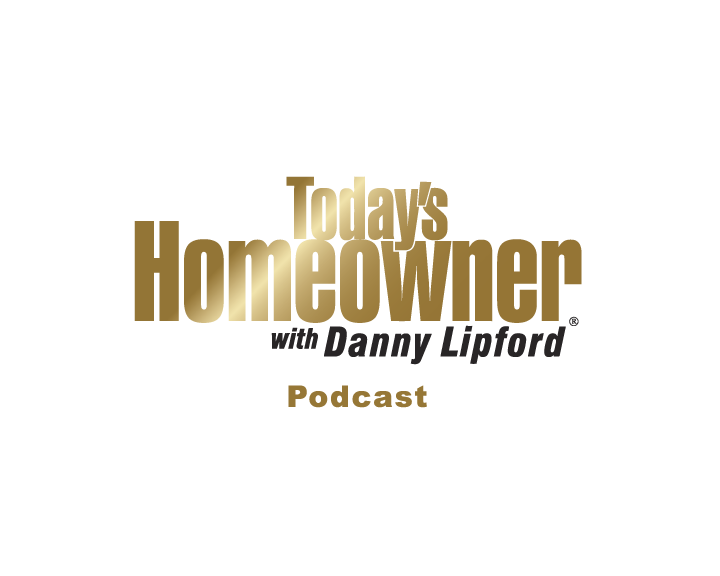 Trusted Home Improvement Expert, Danny Lipford, makes it easier than ever for fans to access and subscribe to his "Today's Homeowner"Podcast with its expanded distribution and fresh format. We know homeowners have questions - Today's Homeowner is here to deliver practical, quality advice and tips for the home in the most consumer-friendly way possible. National Home Improvement Expert and Host of “Today’s Homeowner” TV and Radio, Danny Lipford, is kicking off 2019 with a brand-new format for his podcast. The new–and–improved “Today’s Homeowner” Podcast launches today – offering a shorter length, exclusive tips for the home and bonus Q&A content directly from podcast listeners. The “Today’s Homeowner” Podcast is hosted by Lipford and co-host, Joe Truini, a seasoned contractor and accomplished author. Together, the duo provides easy to understand home improvement solutions for everyday homeowners to help their projects go smoothly and create the best-looking house on the block. Lipford, who has been at the forefront of home improvement media for more than 20 years, has been producing his podcast since 2016. With today’s evolving media landscape, he knew it was time to introduce a few key changes to make the “Today’s Homeowner” Podcast easier to access and more beneficial than ever before. Subscribers can expect a shorter format for the “Today’s Homeowner” Podcast, about 25 to 35 minutes per episode. In addition, they’ll hear bonus Q&A content from Lipford and Truini, as the pair answer a featured question each week submitted by a podcast subscriber. Podcast fans can find additional content on the home improvement brand’s website at TodaysHomeowner.com/Podcast. Visitors will be able to read host bios, submit questions, check out the podcast blog and enter contests and giveaways. Related how-to videos and articles are also available for each podcast episode. Today's Homeowner is a trusted home improvement authority delivering fresh, original, practical advice to consumers across diverse media platforms including the top-rated, nationally syndicated “Today’s Homeowner” television show, now in its 21st season, and its radio counterpart, the nationally syndicated “Today’s Homeowner” radio show. Additionally, the media brand hosts the top home enthusiast destination website, TodaysHomeowner.com, drawing more than 2 million monthly visitors, a weekly podcast, robust social media channels and the award-winning lifestyle blog and web series, “Checking In With Chelsea.” 3 Echoes Productions, the professional production arm of the brand, serves an impressive national clientele with expert video services. Host and founder of the brand, - Danny Lipford, is among the most sought-after home improvement experts in the country. The seasoned remodeling contractor and media personality served as the home improvement expert for CBS’s “The Early Show” and The Weather Channel for over a decade and has made more than 190 national television appearances on “FOX&Friends,” “Inside Edition,” “Morning Express with Robin Meade,” FOX Business Channel, “Rachael Ray” and more. He travels the country making appearances as a brand ambassador and spokesperson, and contributes expertise to hundreds of popular magazines and online media outlets each year.